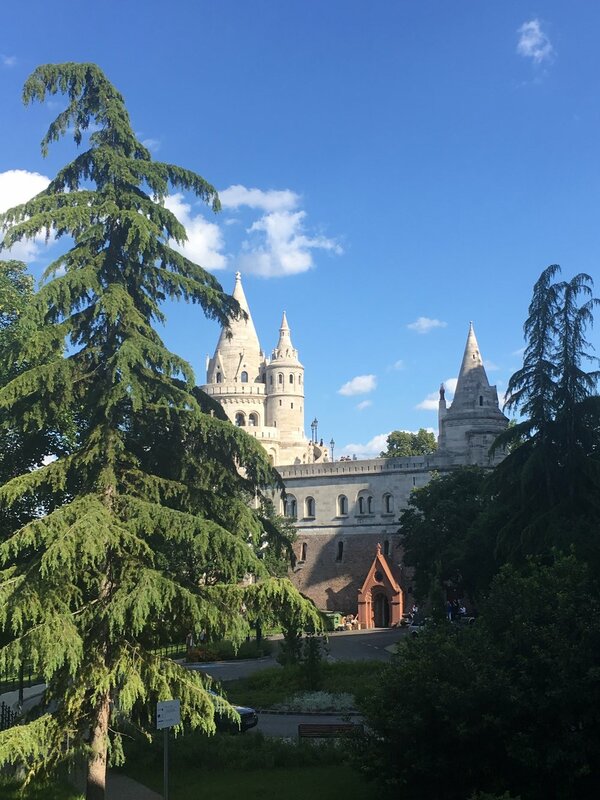 Now that I live in Budapest, I make a point to see something new with my husband at least once a week. 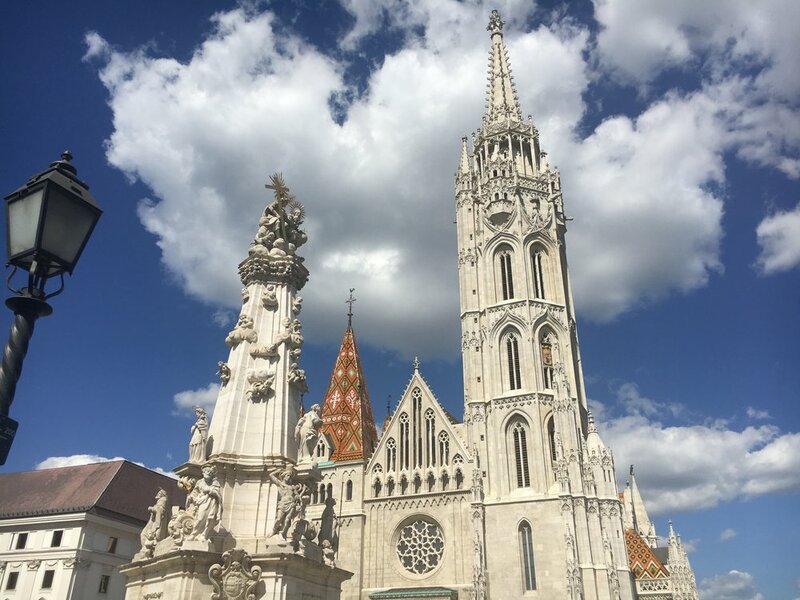 Budapest has so much to offer, from great food to beautiful sites, which all include fascinating history. 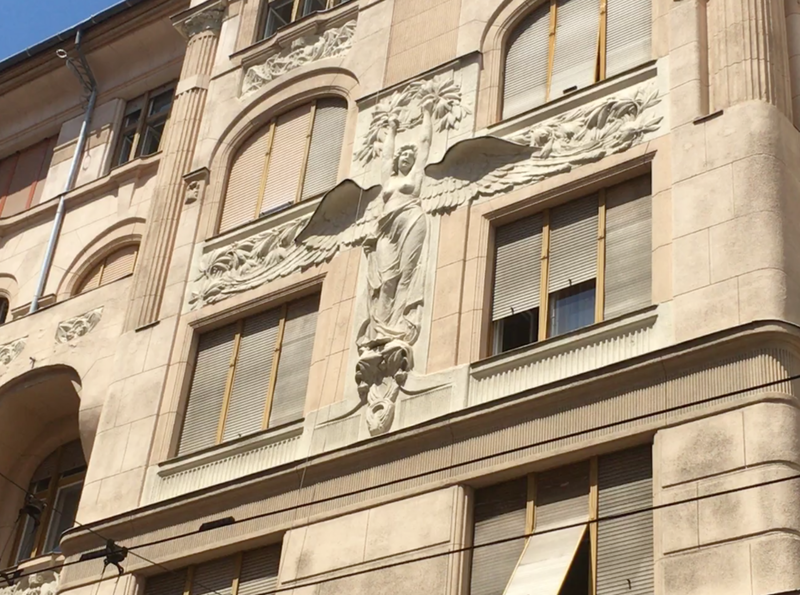 My husband and I ask "Siri" so many questions that we decided to take a private tour with some of my friends in Budapest. If you're looking for private tours that cater to the things you're interested in, then contact Budapest 101. With a few emails back and forth we were able to discuss some of the sites we wanted to cover. This allowed Judit to better understand what we wanted to focus on. The tour covered two districts, which took about two hours each. We started in the Jewish district and ended in the Castle District. The group met at a coffee shop where we started the day with cappuccinos and pastries at My Little Melbourne. 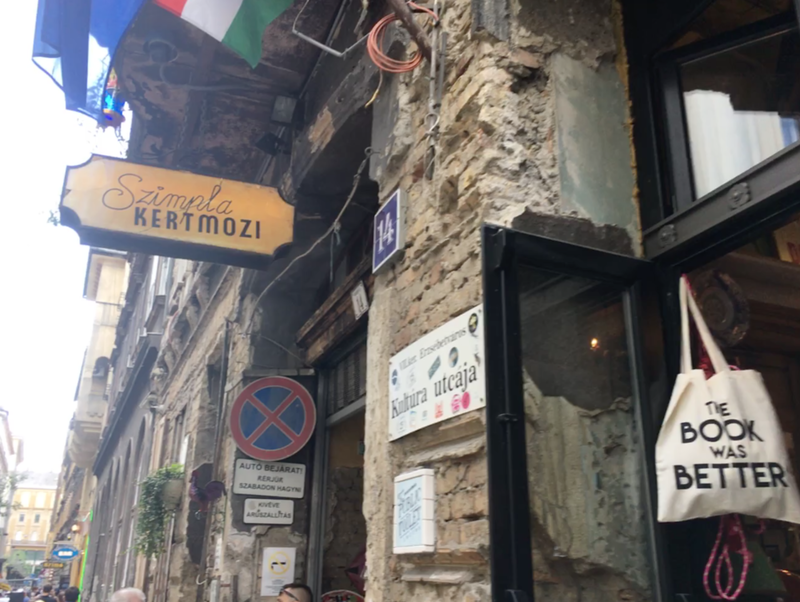 We decided to start our tour in the Jewish District where we learned about this thriving community and its brutal history. 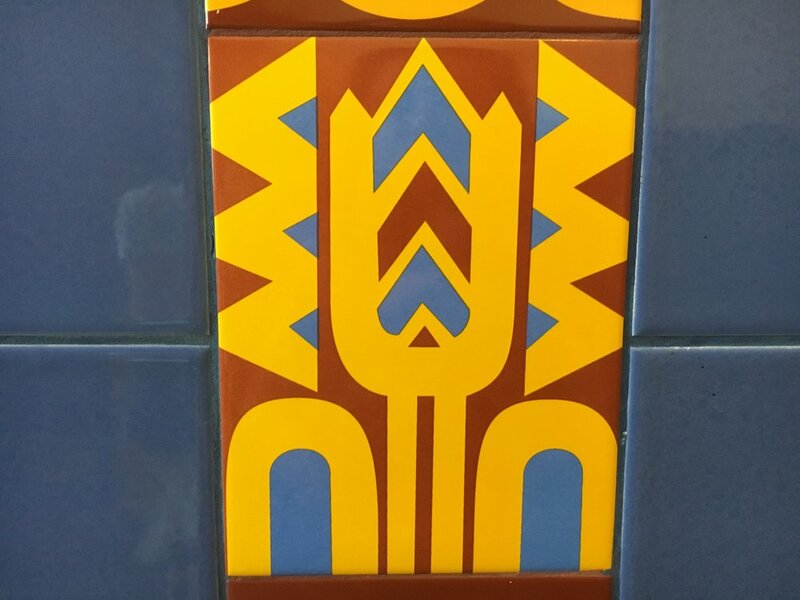 The tour guide pointed out the beauty of the architecture and even snuck us in to see this beautiful tile work inside an apartment building. This was an epic moment. We really enjoyed this part of the tour. I've been able to spit out information from this tour to my friends, making me look soooo knowledgeable thanks to Judit and her tour. We then headed up to the Castle District by city bus. But not before using the restrooms in the beautiful Ritz-Carlton Hotel. Look at this stunning ceiling and chandelier! Ugh to die for! Yes, I've been to the Castle District plenty of times, but I've always wanted to learn more. We were excited to get some inside information. We looped around the castle, which is not really a castle as it was rebuilt several times and not in the original style. The iron castle gates are one of the only things left from the original castle. We circled the area and made it to Fisherman's Bastion and Matthis Church. We even came across this statue where the testicles of the horse haven't rusted over, because it is tradition for the students to rub them for good luck before their finals. Our tour guide Judit is a licensed certified tour guide, which is important to have, as there are many tour guides that are handling tours illegally. I'm telling you, Judit is the real deal. She answered all of our questions and was knowledgeable about everything. She was even personable and I felt we gained a friendship from spending 4 hours together.